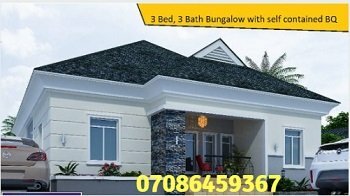 Real Estate Guide Newsletter Lagos Nigeria. School For Sale In Lagos. A nursery and primary school located in Lagos Nigeria is currently up for sale. The school is available for immediate take over. We have two different office spaces for rent in Victoria Island Lagos Nigeria. NOTE: The link above opens a new window. If you have a pop-up blocker, you may need to disable it temporarily to open the page. Would you like to increase your salary (or earnings) every month? Simple reason . . . you need more money to cover the ever increasing cost of living. And you need MORE money to live a MORE comfortable and MORE luxurious lifestyle. Will your employer agree to increase your salary every month? Most employers like to get the most value from each employee while paying them as little as possible to keep them motivated. So, how do you grow your earnings every month and increase the smile on your wife's face while at the same time reducing the stress on your heart? Simple answer . . . have a PLAN B that has a compensation package designed to increase your earnings every month. This kind of compensation structure is called residue income business or passive income business. "Passive income" means that you do the work one-time and continue to earn from it forever. Here's a simple example to illustrate the power of residue income. A friend started this kind of passive income business in October 2011. Last month (March 2012), 6 months later, the company he is affiliated to as an independent distributor paid him one million Naira. Yes, this friend earned one million Naira last month alone. He is set to earn more than that this month because his earnings has been growing every month since he joined this company. You see, he started in October 2011 and his earnings started small . . . and grew gradually until he hit one million Naira last month alone. Let's break down his one million Naira earning last month to understand the power of this business. His earnings from existing customer purchases in March was 624,000 Naira. In simple words . . . 62.4 percent of his earnings last month was from existing customer purchases. And these existing customers purchased directly from the company and yet the company credited his account promptly. Isn't that the kind of PLAN B, the kind of business you will like to be involved in? The company keeps paying you your share of your existing team member purchases whether you're aware they actually purchased or not. And your income grows month after month as you recommend the product to people in your . . .
We have a long list of property for sale. Click HERE to see the complete list of property for sale.